UP MBBS Admission 2019 Registration- यूपी एमबीबीएस प्रवेश पंजीकरण: Admissions into MBBS & BDS courses in the government & private universities of Uttar Pradesh will be conducted on the basis of NEET 2019 Merit List. Applicants interested in Uttar Pradesh MBBS Admission 2019 need to appear for NEET-2019 on 05th May 2019. The authority is not going to conduct any separate exam & therefore admissions to approx 2000 seats in government medical colleges of UP will be done on the basis of NEET Result 2019. Aspirants interested in admission must go through UP MBBS Registration Process based on NEET schedule. Candidates can get here details of UP MBBS Entrance Cutoff Marks along with precise information of UP NEET Counselling. For more details go through the article below. As per a Supreme Courts directive in 2016, the All India Pre Medical Test (AIPMT) as well as all state level medical entrance tests has been replaced by NEET. Thus applicants seeking for UP MBBS Admission must appear for NEET 2019 & score a valid rank. Therefore all the candidates seeking Upcoming Admissions must apply by filling UP MBBS Application Form 2019 through its portal. Applicants must go through UP NEET Registration to complete the admission process. Therefore through UP NEET Counselling, 85% seat will be provided for state quota and 15% seat will be allotted on the basis of All India Quota By MCC. For more details of Uttar Pradesh MBBS Admissions, check this article. He/ She must have 17 years of age. Must be a domicile of Uttar Pradesh state. Candidates must have completed 12th with at least 50% in Physics, Chemistry & others. The minimum marks required is 40% (SC/ST) & 45% (OBC). The UP MBBS/ BDS Entrance Merit List on the basis of mark scored by candidates in NEET 2019. The admission will be strictly conducted upon merit basis for all the eligible candidates as per different category. The merit list includes candidates name, NEET roll number, NEET score secured in PCB. No separate announcement will be made for the release of merit list & candidate must check it through official portal. After the declaration of Result, the authorities will release UP NEET Cut Off 2019 & the candidates need to meet the required cut-off marks in order to get admission into the medical institutes. Below you can check UP MBBS Cut Off Marks for various categories. All the aspirants successfully qualify NEET 2019 further attend UP NEET Counselling 2019 for allotment of MBBS & BDS seat in government, private and deemed medical universities, colleges and institutes across Uttar Pradesh. 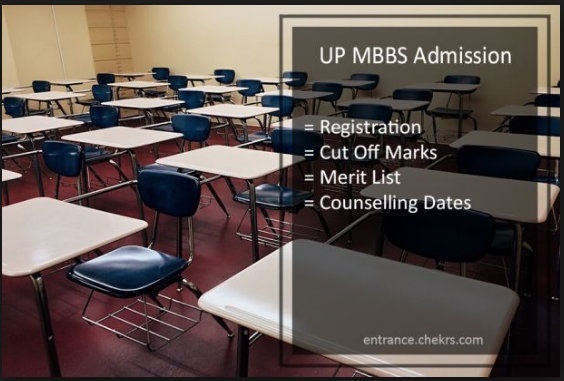 The UP MBBS Counselling Schedule conducts in offline mode in the month of June/ July 2019. Candidates will have to present in person, in order to get UP MBBS/BDS Seat Allotment. Release date & process to get UP NEET Seat Allotment Letter 2019 intimate on our web page.